Google Home Hub hands on: Is there an Echo in here? The Google Home Hub could be the device that makes Google Assistant a household name. Michael Simon goes hands on with Google Home Hub, a smart display with deep hooks into Google's connected home ecosystem. 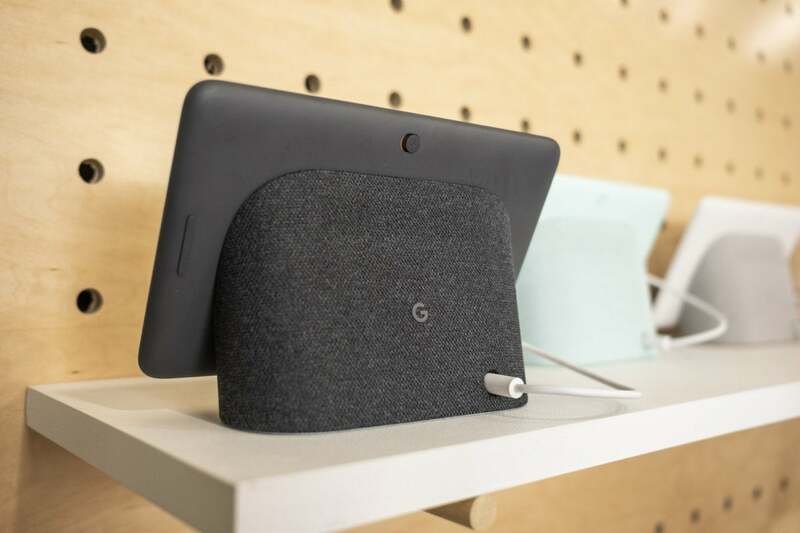 With a 7-inch widescreen display, you’d think the Google Home Hub wouldn’t fit on your nightstand. It will. And it’ll leave plenty of room for a Pixel Stand, too. 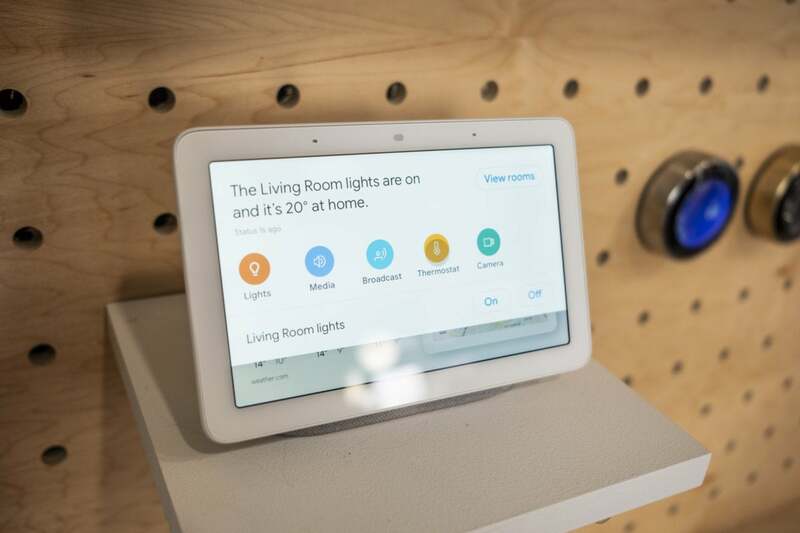 I don’t usually start off hands-on stories with price, but it’s worth mentioning right at the top: The Google Home Hub, with its 7-inch touchscreen display, is just $149. That’s $50 less than the Facebook Portal, and $80 less than Amazon’s second-generation Echo Show. And it’s only $19 more than the 2.5-inch Echo Spot. Granted, these aren’t apples-to-apples comparisons—the screen size is three inches bigger on the Show, for example—but when people are shopping for a smart speaker with a screen, a few inches here and there won't matter. And the price tag will make the Google Home Hub hard to pass up. 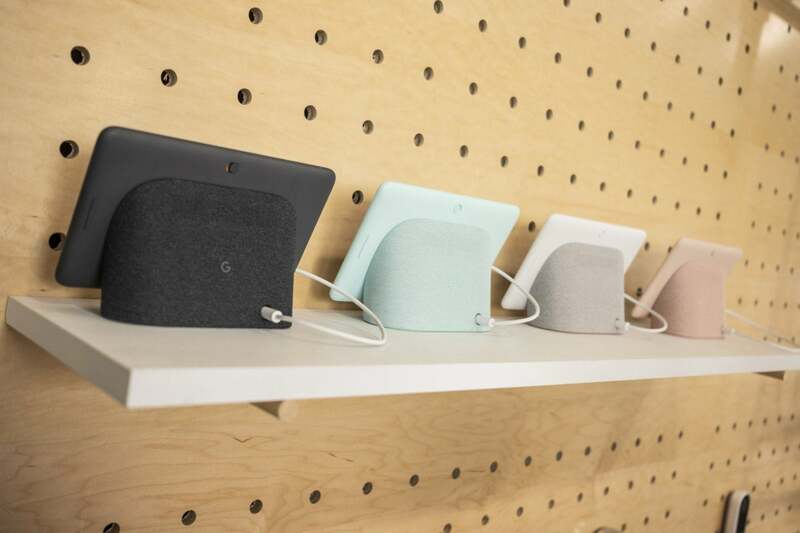 The Google Home Hub comes in four colors. 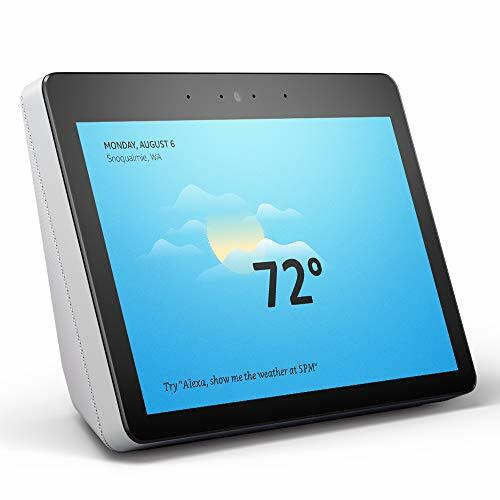 Amazon just redesigned its Echo Show with a sleeker design and fabric-wrapped body, but it still looks like a behemoth compared to the Google Home Hub. Google's smart display has something of a G4 iMac aesthetic, with a thin all-white display attached to a cloth-wrapped base (though sadly there’s no adjustable arm). Weighing just 480 grams, it’s startlingly light, so much so that I nearly dropped it when I picked it up for the first time. Consider that the Google Home is 477 grams and you can get an idea of just how light it is. And it’s really small. The display is obviously the widest element, but elsewhere it’s only 67mm deep and 118mm high versus 96mm deep and 143mm high on the Home. It comes in four colors: chalk (white), charcoal (black), sand (pink), and green (aqua). But when looking at the Hub from straight on, you’ll see only a tiny bit of it below the screen. That's how small it is. I can only think of one adjective to accurately sum up its looks: adorable. The Google Home Hub doesn’t just look different than any Assistant-powered smart speaker that came before, it acts differently, too. It does all the same things that the Google Home and Home Mini do with its built-in speaker, of course, but on the Home Hub, Google Assistant comes to life, with animated actions, full-screen responses, and bright, vivid images. Anything you ask it to do is broadcast in full color on the display, and it gives Assistant a character it never had before. You can see how bright your smart lights are on the Google Home Hub's screen. 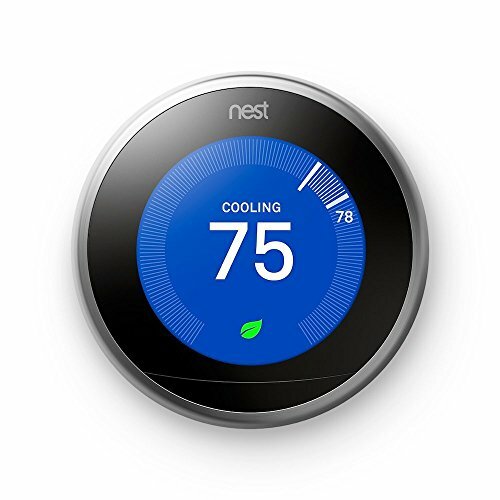 Google calls its new device a “hub for the thoughtful home,” and as you might guess, it’s deeply integrated with Nest devices, but it's also compatible with some 5,000 smart devices from more than 400 other brands. And they’ll all be able to take advantage of the Home Hub’s coolest new feature: the Home View dashboard. Available on both the Home Hub and the Home app on smartphones, it’s a new interface for controlling your smart devices. Similar to Apple’s Home app, Home View collects all your smart devices and lets you see and control them all in one place, without needing to jump to different apps and actions. 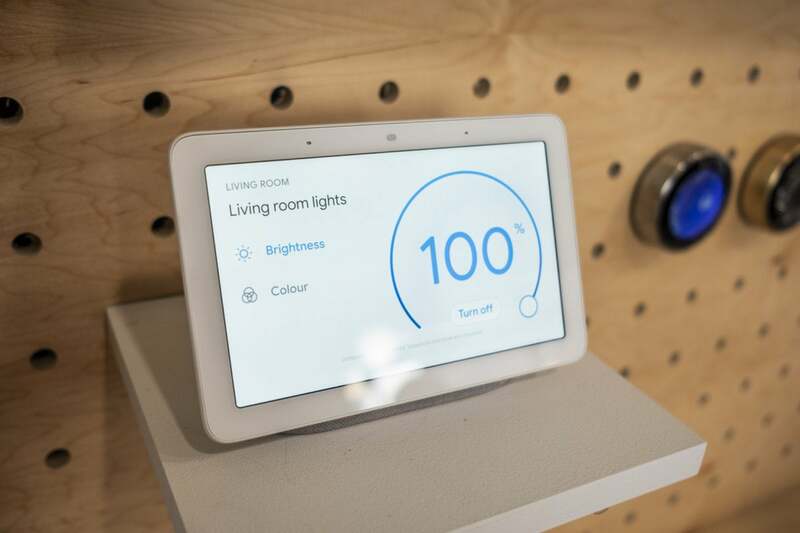 Google played up the integration with Nest devices in the demo I saw, but it also works with August smart locks, Philips Hue lights, and a variety of smart TVs. It’s very slick and intuitive, and it could be the jump-start the smart home needs to really take off. Also prominent on the Home Hub are videos, namely ones from YouTube. That's a distinct advantage over the Echo Show, which is locked out of YouTube's library (the Echo Show must launch a web browser to access the service, and you can't search for videos with voice commands). To pad its lead, Google has optimized thousands of videos for the Home Hub's screen, so things like recipes and how-to's are easy to see and follow. Home View lets you see all your connected devices right on the Google Home Hub's screen. There are also YouTube filters built in, so you can block restricted content, and it uses Voice Match to personalize content to the person who's speaking. So if your friend is talking to Google Home Hub, she won’t be able to access your calendar. That’s not new to Google Home, but the level of personalization is: Just say “Good morning” to the Google Home Hub, and you’ll see a personalized routine, with events, commute info, reminders, and anything else that might be relevant. I didn't get to try this myself, but in Google's demo, Assistant answered properly every time. But there’s one thing the Google Home Hub doesn’t have: a camera. Google says that’s part of its hyper-focus on privacy. The comfort of knowing your Home Hub isn’t spying at you, however, comes at a price: You can’t make video calls on the Home Hub or use it as a video baby monitor. In the spot where a camera would be, there are are three new lighting sensors that come together to form Ambient EQ, a feature that works kind of like True Tone on the iPhone. Not only will the display dim as the surrounding light does, but it will also adjust to the décor and lighting of its surroundings to naturally blend in with the room. That ambiance is more visible when the Home Hub isn’t actively being used. That’s when the display turns into a photo frame with some cool AI and machine-learning tricks to keep your slideshows looking their best. Just pick one of the people in your Google Photos albums and the Home Hub will create a live album that automatically update as new photos are taken. Plus, it’ll filter out any blurry or underexposed photos as it decides which ones to present on the screen. The back of the Google Home Hub is where the color is. And when it’s time to call it a day, Google Home Hub will wind down with you. Just turn on Downtime and the device will mute, dim, and turn into one of the best-looking alarm clocks you’ve ever owned.